4 available, 10 3/4" X 13 3/4". Rear has fold out easel stand. 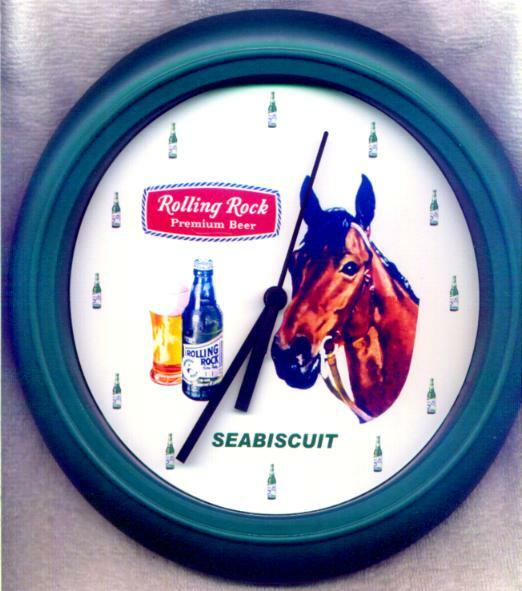 18” X 24” in self contained metal frame. Mint condition. Limited amount of 6 available. Price  $50.00. amount of 11 available. Price  $50.00. 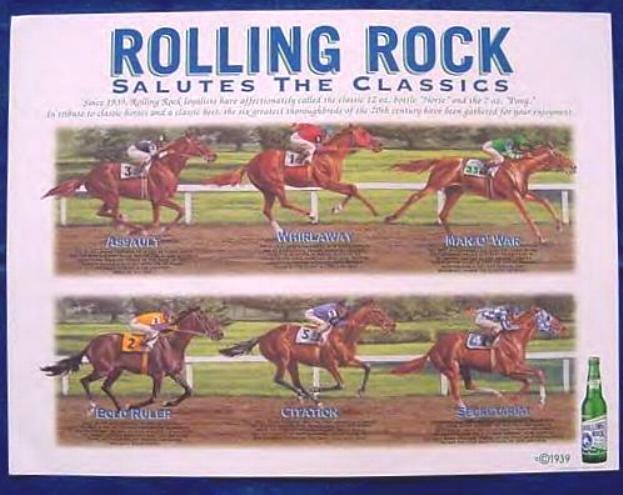 RR4-         Rolling Rock large vinyl banner depicting Man O' War. amount of 3 available. Price  $50.00. of 7 available. Price  $50.00. of 5 available. Price  $50.00. 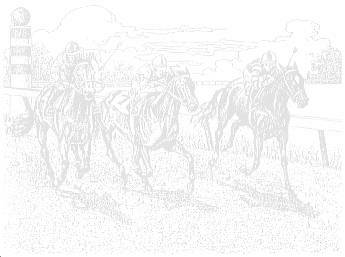 & Bold Ruler running around the bucket. 7” high 9” dia. Mint condition. Limited amount of 3 available. 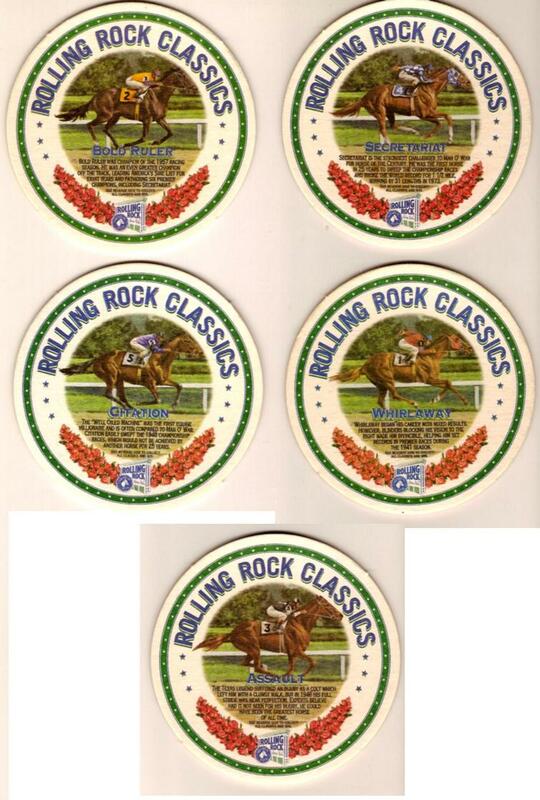 RR9-         Set of 20 Rolling Rock Beer heavy cardboard coasters. 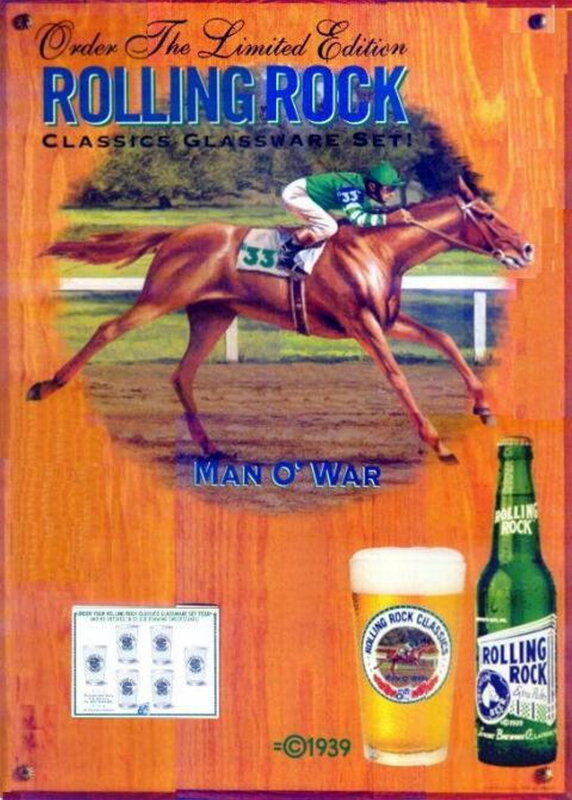 RR11-        Man O’ War Rolling Rock Beer heavy beer glass. VIEW         Never used. Limited amount of 6 available. 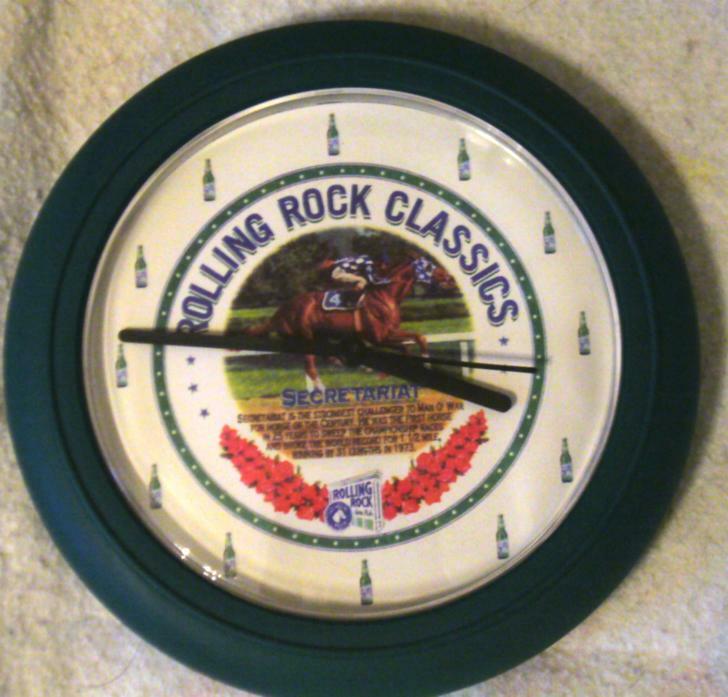 RR12-        Citation Rolling Rock Beer heavy beer glass. 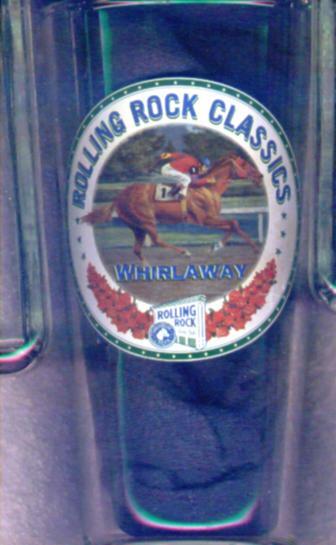 RR13-        Whirlaway Rolling Rock Beer heavy beer glass. 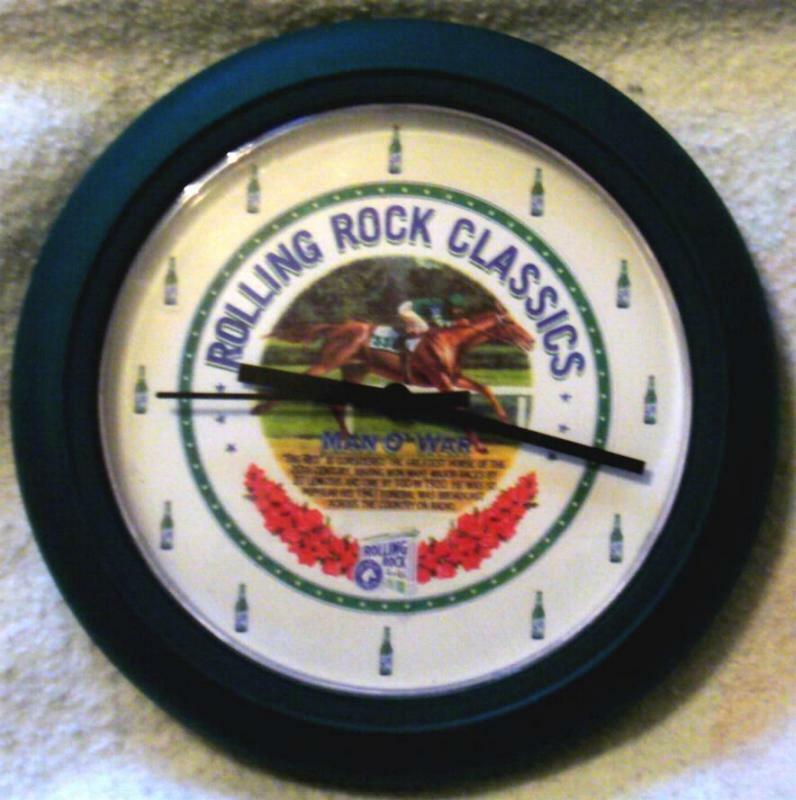 RR15-        Bold Ruler Rolling Rock Beer heavy beer glass.